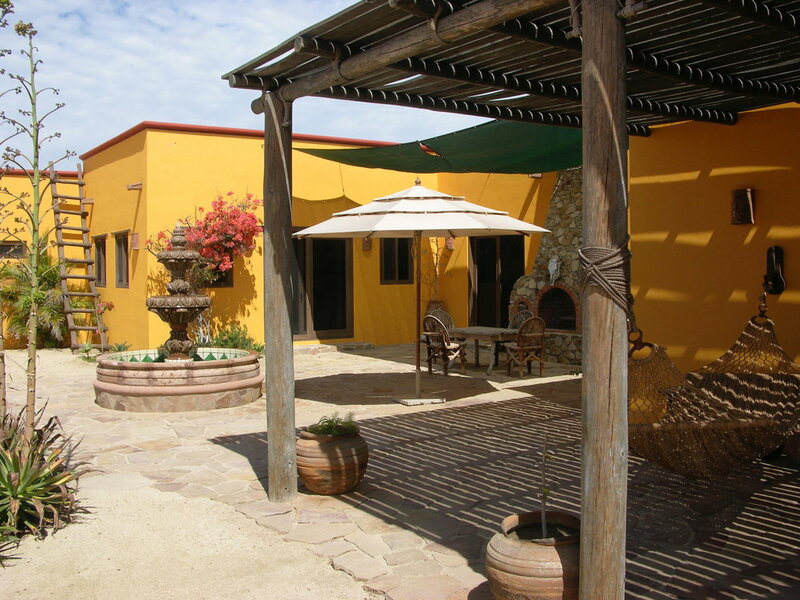 Casa Torotes is located on the sand of one of the most pristine beaches on the Sea of Cortez. The town of La Ribera and our beach, Playa Colorada, are still relatively off the beaten track and 2 hours from the bright lights of Cabo San Lucas. The serenity of the coastline is so captivating that time seems to slow down, and each day melts lazily into the one before. Casa Torotes can be many things: a multi-family retreat, a romantic getaway, or a fishing lodge for you and your friends..
Our home can easily accommodate 3 families. We have 3 master suites with bathrooms, featuring double sinks and walk-in showers. There is also a 'dorm room' for overflow guests. 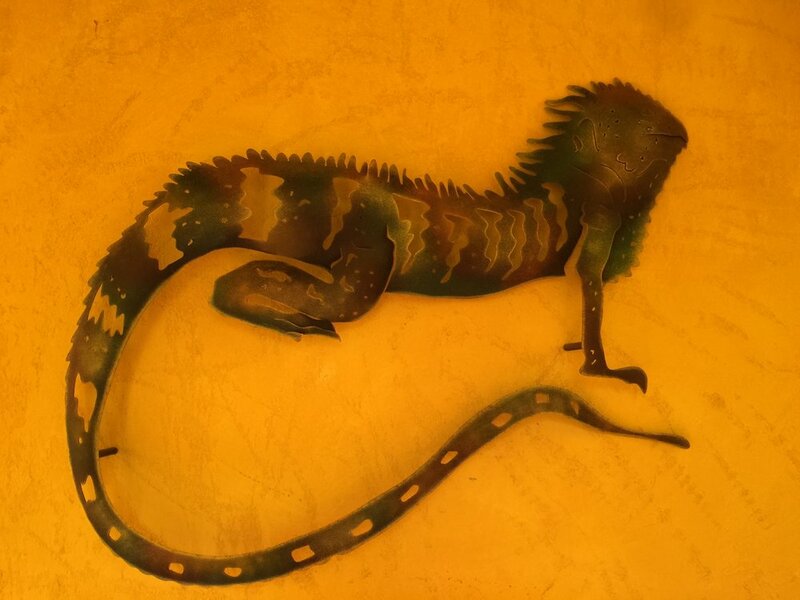 Casa Torotes also features hand-painted walls, a laundry room, a large fully equipped modern kitchen, an outdoor barbecue, a spacious dining room with seating for 12, breakfast room, day room and living room. There are 2 fireplaces in the house, as well as an outdoor fireplace. A sunny courtyard and charming cantera stone fountain complete the picture in this delightful home. Extra housekeeping services and cooking can be arranged in advance. You can book your stay at Casa Torotes either through VRBO (button below) or visit Contact on this website. 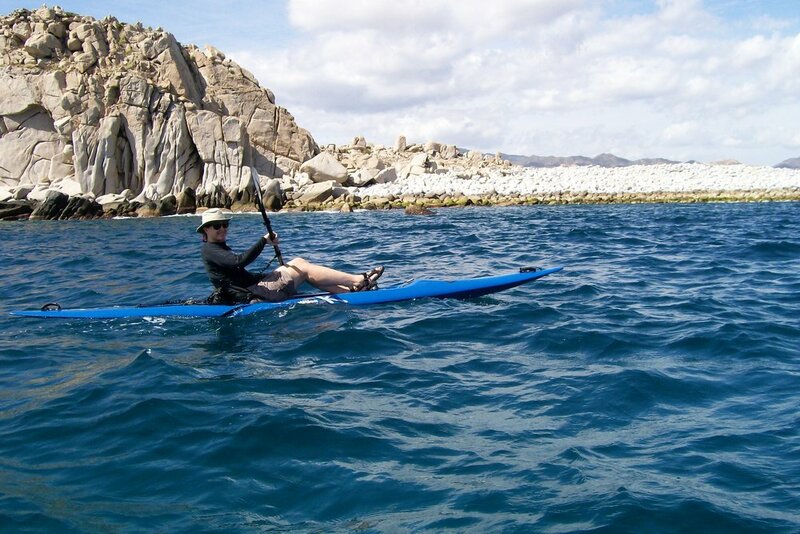 Swim or kayack on the sandy beach in front of the house, snorkel off Punta Colorada or down at Cabo Pulmo, surfing at Todos Santos, or (in the winter) kite-surfing and windsurfing in Los Barriles. 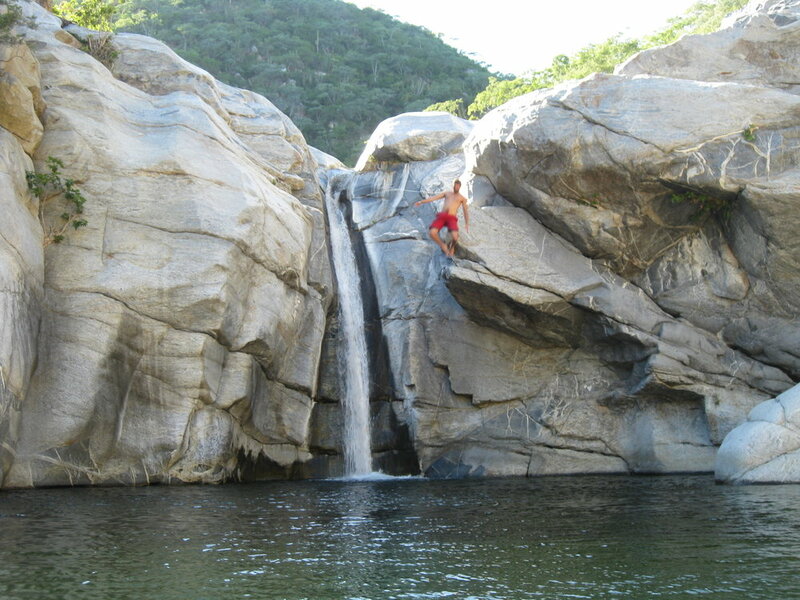 In Baja every day brings new opportunities and adventure is at your fingertips; this can include a trip to a once secret waterfall or hot springs in the mountains, or just take a long walk down the beach. For the fisherman, our home is situated on one of the most enviable locations on the Sea of Cortez; the famous Roosterfish Alley runs right out front! Every summer fishermen arrive from all over the world to take on the mighty Roosterfish, one of the most notorious fighters in the fish world. 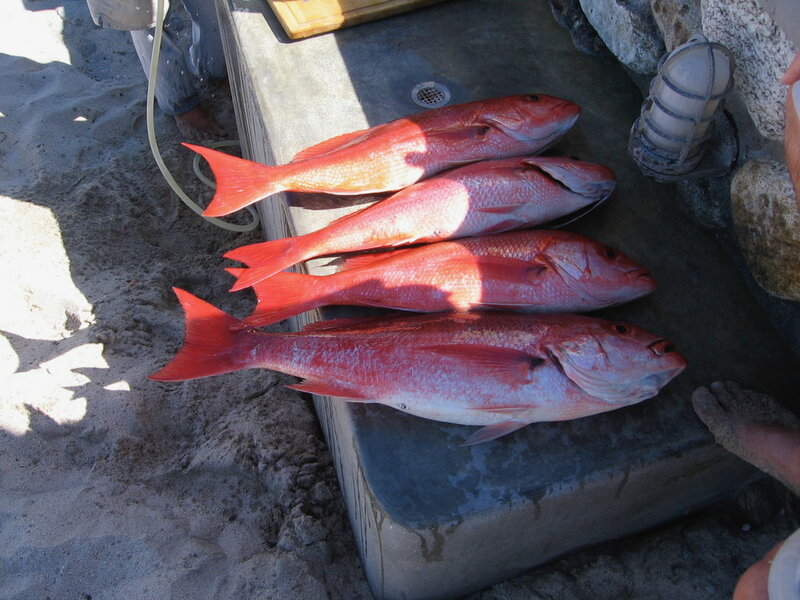 These fish are caught not only by boat, but also by fly-casting from shore. 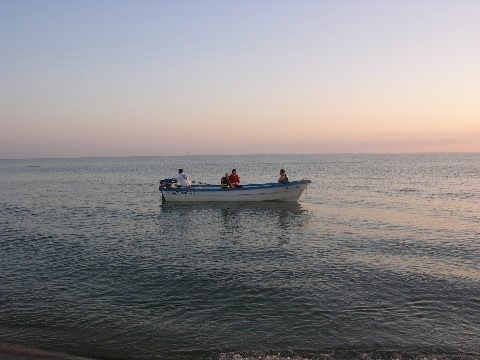 Each morning the fishing fleets from Los Barriles and Rancho Leonero motor near our home to deep sea fishing locations off the coast to hunt marlin, dorado, tuna, wahoo, amberjack, grouper, snapper, triggerfish, pompano and more. If you wish, you can arrange to have one of these sport-fishing boats pick you up directly in front of the house or at the marina in town. Our strategic location on the sandy shore makes beach pick-ups and drop offs a breeze. Offer your captain a beer or two and he may agree to clean your fish for no extra charge! For many of our guests, the appeal of our home is simply enjoying life by the sea and doing nothing all day except taking a walk on the beach, soaking up the sun, floating in the sea and enjoying a good book.